Hey, dessert lovers! Ever heard of “magic cake”? Well, prepare yourself to drool, because we’re here to enlighten you. 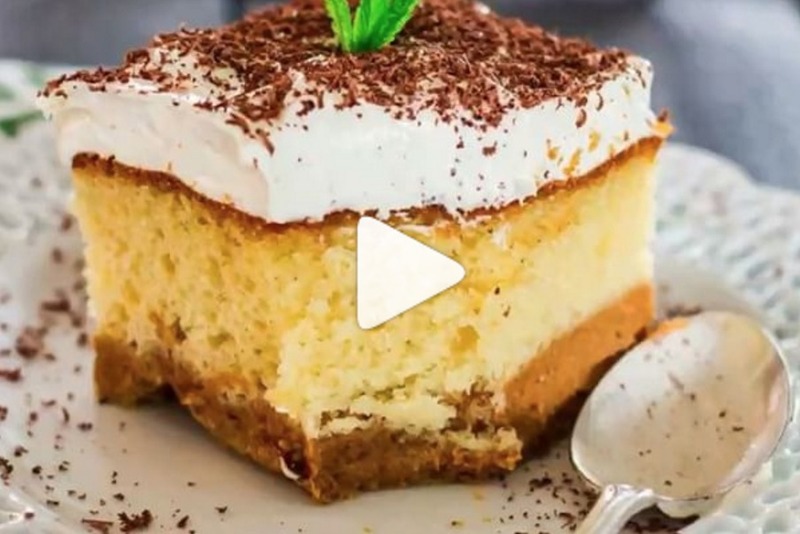 A yummy new cake recipe has found its way from the colorful, addicting depths of Pinterest to the rest of social media, and people are losing their minds for it. The concept behind “magic cake” is that it uses all the traditional ingredients — eggs, flour, sugar, etc. — but only takes about 40 minutes to an hour, while still maintaining the finger-licking goodness that none of us would ever want to sacrifice in a dessert. Magic cake begins with loose batter — the cake’s three layers separate on their own while it bakes. The finished product consists of a light and spongy top layer (courtesy of whipped egg whites) and a custard-like center (the cake bakes at a cooler temperature than usual) held up by a dense, pudding-like cake foundation. Nothing sounds better than bringing in the new year with this pumpkin-flavored magic cake. Yum! "With the popularity of food videos on social media, I'm sure people share this with others thinking it's an easy baking project. It's certainly less intimidating than a layer cake, or even a cupcake that has to be frosted," The Actor's Diet blogger Lynn Chen told Mashable about magic cakes. The magic cake concept has been around for several years, but it’s new to us, and we are ALL ABOUT IT.